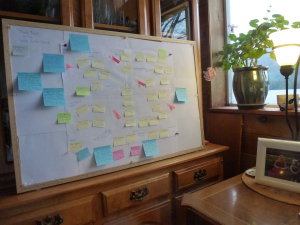 Here’s the latest stop on the blog tour – I do a guest post over on Jill Weatherholt’s blog on the use of storyboards to conceptualize a novel. Please pop over and visit Jill’s great blog. Comments get you a chance for a free book mailed right to your door. 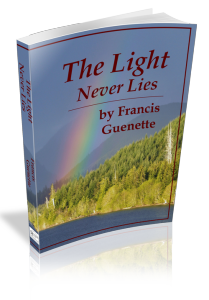 Today I am thrilled to welcome Francis Guenette , author of The Crater Lake Series. Her novels Disappearing in Plain Sight and The Light Never Lies are set on the shore of a Northern Vancouver Island lake, rich in rural life, family dynamics, and romance. Francis has a talent for bringing her characters to life. It’s been a long time since I’ve read a book where both the characters and the setting felt so real and alive. I was truly impressed with her writing in Disappearing in Plain Sight. Her style was sharp and vivid, grabbing my attention from the first page. I look forward to devouring The Light Never Lies. I love your idea for a story board Francis it was very helpful thank you. The next time I attempt Nanowrimo this would be a good way to flesh out the story first.